The 2013 Asian Continental Championship for Women was held on 18-26th May in Manila, Philippines. The tournament was organized by the National Chess Federation of the Philippines and Eugene Torre Chess Foundation, Inc.
40 players from 9 countries took participation, among them 12 WGMs, 2 IMs and 9 WIMs. It was an exciting race between Huang Qian and Tan Zhongyi, both from China, who finally finished the tournament on 7,0/9 points each. 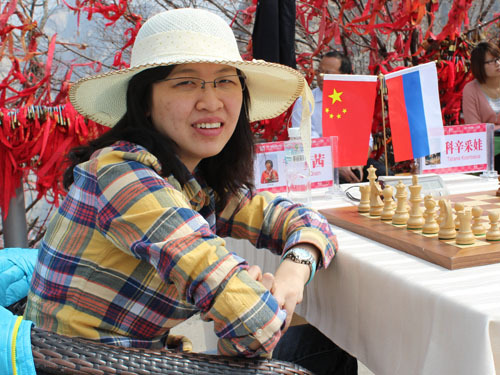 However, Huang Qian took the title of Asian champion on better tie-break and qualified for the next Women’s World Championship. WGM Mary Ann Gomes from India sneaked in between the row of Chinese players to claim clear third place with 6,5/9 and take the bronze medal. Gomes also jumped over 2400 elo and finally fulfilled requirements for IM title.